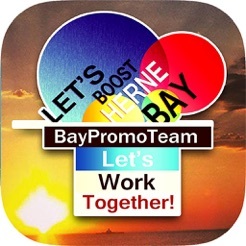 Baypromoteam is proud to present our FREE Herne Bay app. 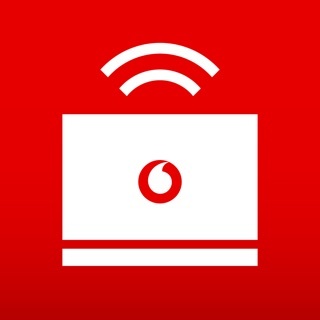 Whether you're a local or a visitor, our app provides you with handy information to enjoy your day or stay. 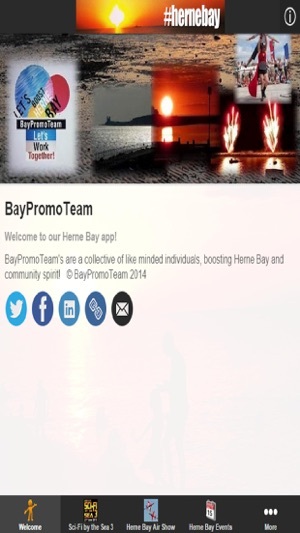 Events Calendar, digital Bay Card, our Twitter & Facebook pages & other Herne Bay Feeds, weather, tides, moon phases, sunsets, cinema listings and movie news, Herne Bay and Kent news, property for sale and rent, schools, videos, photos and much more. 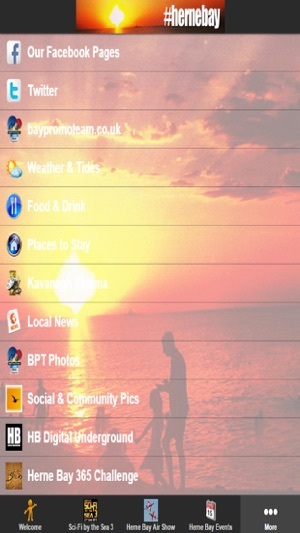 Great little app to keep you in touch with all the info for Herne bay. Great work bay promo team. Excellent app keeping you up to date with all the upcoming events, especially with the festival coming up! Fantastic ap 4 locals and visitors ! Won't miss a thing now, il def recommend this ap ! everything u need 2 know !brill !